Sharkdam Wapmuk is a Senior Research Fellow and Head, Division of African Politics and Integration, Nigerian Institute of International Affairs (NIIA). He obtained his PhD in International Relations and Strategic Studies from the University of Jos. He is also a graduate of Universities of Maiduguri and Jos, where he earned his B.Sc Degree Political Science (Second Class Upper Division) and M.Sc in Political Economy and Development Studies. He has many years of Academic research experience, within and outside the country. Recent research projects undertaken include those commissioned by Humanitarian Dialogue (HD)/UNDP; Council for Development of Social Science in Africa (CODESRIA) National Working Group (NWG)-Nigeria; Open Society Foundation for South Africa (OSFSA), and NIIA. He has attended and participated in many conferences, seminars and workshops on topical national and international issues, including Think-Tank Dialogues. He has also lectured in various institutions in the country including the Naval Training Command, Lagos (Appointment and Promotion Examination – CAPEX); Defence Intelligence College, Abuja (Joint Military Attaché Course – JMAC); Universities and has presented career talks on international relations and diplomacy to secondary schools. 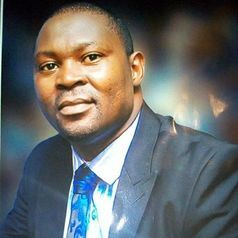 He is currently the editor of the Nigerian Forum: A Journal of Opinion on World Affairs, published by the NIIA. While his geographic areas of interest include Africa and Asia, his research interests are in the thematic fields of cooperation and integration in Africa, African development initiatives, security and development, democratisation, diaspora and development, Africa-India relations, and roles of think-tanks in national development. He has published a number of journal articles, book chapters and monographs in these areas. He is a member of scholarly bodies, including the Nigerian Political Science Association, and the Nigerian Society of International Affairs.